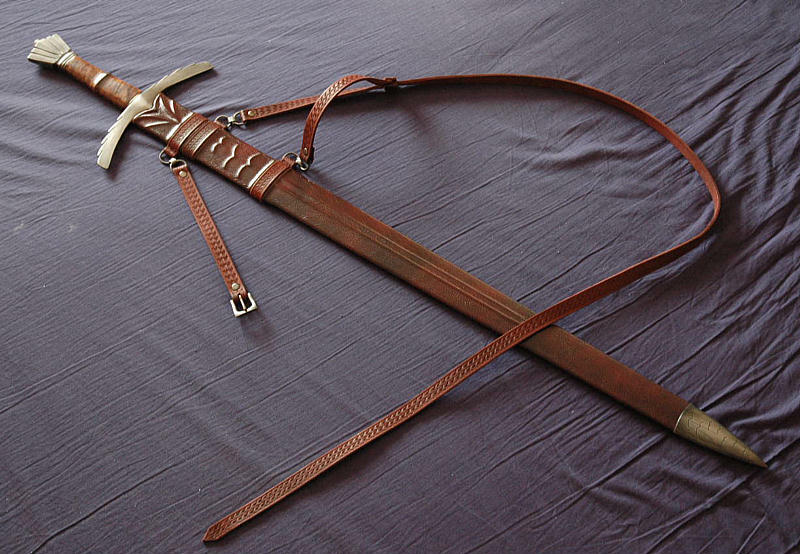 Hi, i made a new scabbard for my sword and wanted to share it with you? The "hawk" theme is beautifully executed. 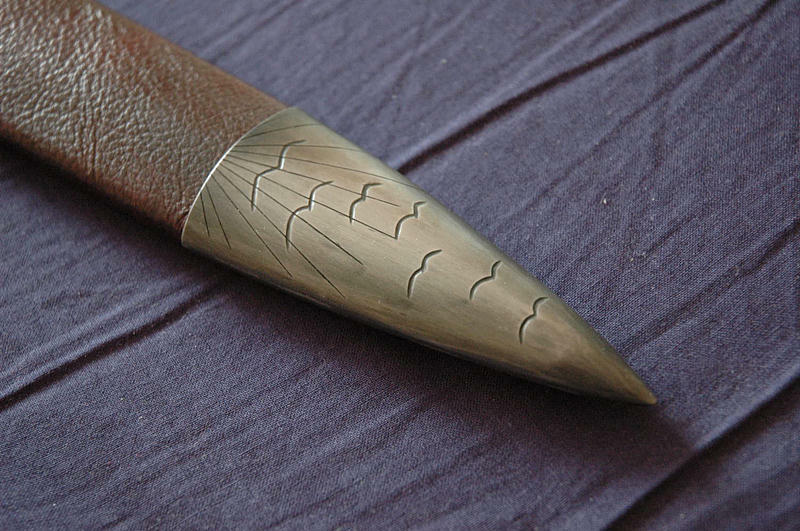 There is a nice harmony among the sword guard and pommel (as "wings" and "tail") and the scabbard representing the "flock". Well done! 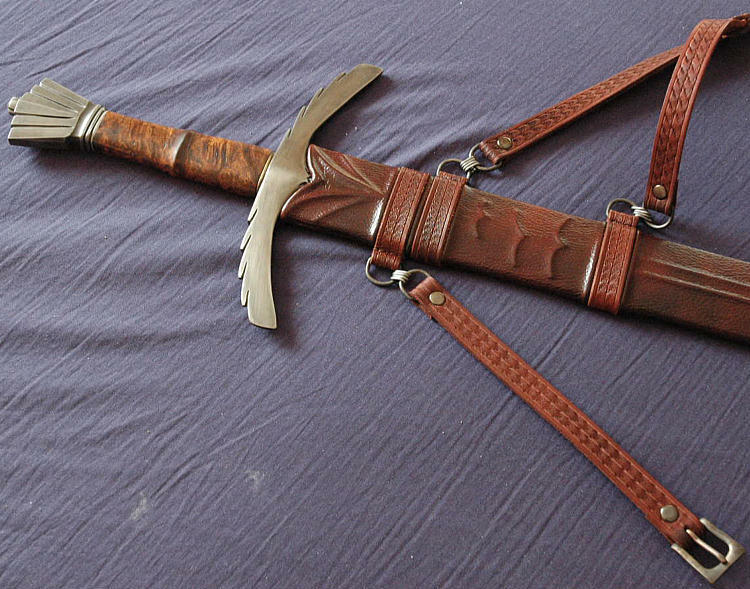 It really looks like it belongs perfectly with the sword. What sort of leather did you use to cover it? WOW! Great work! That is very, very pretty! Now that's a masterwork ! It's perfectly done and, in addition, with a great aesthetic sense. Congratulations ! P.S. 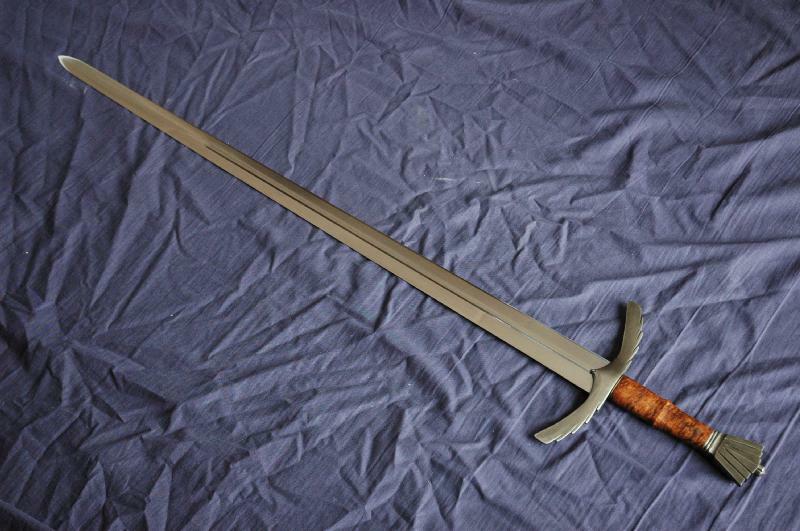 I really love the sword too. Very good and it all works together. I used couch leather 2mm. There are 2 types of couch leather, one that is very flexible, which i use, and the other is a bit stiff. The first one behaves more like a piece of textile/cloth. This type of leather mostly has a surface pattern. If you don`t want that you should use natural leather 1mm, then u can dye it in the color you like.